What Does 1 John 2:15 Mean? We live in a very beautiful world but a world that is under a curse and a world that is currently under the dominion of an evil, fallen angel. And over and again we are warned of the dangers that befall any one of us.. when we start to love this world and the things of this world. 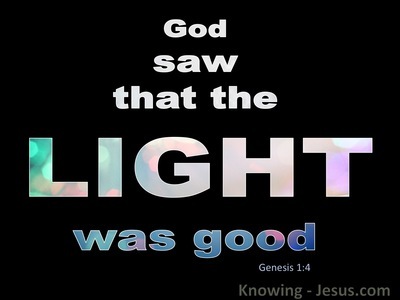 One cannot love this world system and the things that are in the world and love the Lord our God at the same time. The whole reasoning and outlook of the world is diametrically opposite from the philosophy and mindset of our heavenly Father. 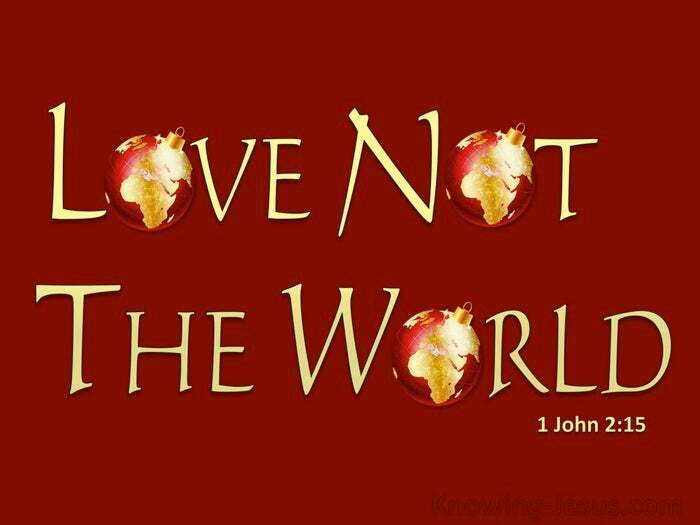 And loving the world and the things of this world is incompatible with our love for the Father and His desire for His children. The world and all that it offers can appear to be enticing and tempting and not really harmful!! - However its trifles are designed to tickle our senses and stimulate our fleshly desires into an unwholesome; selfish and addictive appetite, which craves for more of the same. It is described by the Lord as the lust of the flesh - which kindles and stimulates our sensory appetites.. the lust of the eyes - where we crave and covet the things that we see.. and the pride of life - where self-interest and self-love is displayed in self-glorification; self-importance; self-indulgence; self-reliance; self-righteousness - and all too often self-deification. 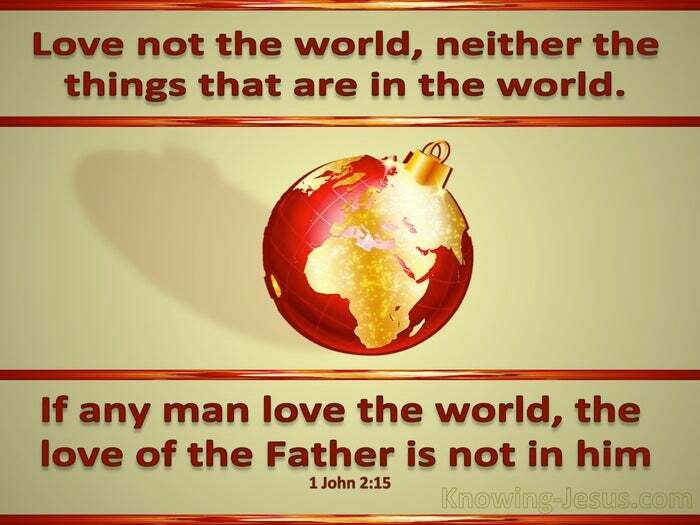 John is writing to Christians.. and like Paul he is keenly aware that born again believers can be enticed away from a loving dependence upon the Father.. into a carnal reliance on the things of this world. Both these apostles know that Christians can be drawn away from a spiritual walk, where Christ reigns at the centre of our life.. to a fleshly existence, where king 'Self' is reinstated on the throne of our heart. Although our position in Christ can never be lost for those that are born-again, nevertheless our communion with Christ can be interrupted, our fellowship with the Father can be broken and our spiritual channel of communication can be choked.. so that His love ceases to flow out from Him, through us to others - and we grieve the indwelling Holy Spirit of God. 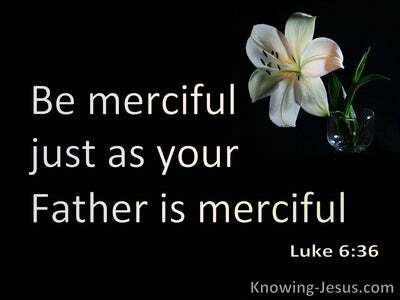 Let us not love the world nor the things of this world by living a fleshly and carnal life.. knowing that this will cause our fellowship with our heavenly Father to be seriously affected - and will have the devastating result that the love of the Father is no longer in us. 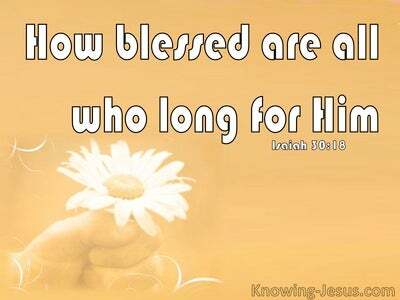 Rather let us love the Lord our God with all our heart and with all our soul and with all our mind and with all our strength and let us seek to walk in spirit and in truth day by day - to His praise and glory.